… here's what's on tap for this show. 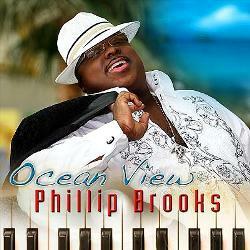 Ocean View is the latest from Phillip Brooks and that's the spotlight cd on the showcase segment. Headlining hour 2 is the Fresh Trax feature with nothing less than a cutting edge blend of new music. Appearing on this installment are Boney James, Lin Rountree, and Drew Davidsen; making their debut is the project Blue Soul Groove; meantime we have a world premier with Rocco & Rahj, 'the kings of beach jazz', and a track from their forthcoming release. Also in the second half of the show is a set with Four80East, there's quintessential Sam Riney, plus The Rippingtons and Peter White bring it on home. Otherwise, with the release of Will Sumner's Tracks cd being imminent, we have a track from that as a nod to Will. Meantime the music's already perking with a Joe Fuentes track from A Good Cup of Joe! 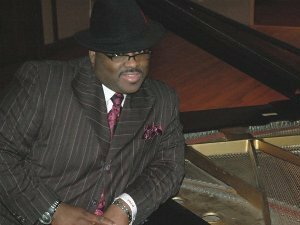 Even as a youth, keyboardist Phillip Brooks showed great promise as a musician; by the age of nine, he'd started to compose and by his teens he was recording and performing live. Thru these early efforts, Brooks became well known on his Detroit-hometown scene while gaining many opportunities to work with a variety of gospel artists. By 1994, he'd begun to expand his resume outside of that sphere; he wrote for recording artists such as Guess, and then toured with Mary J Blige and the R&B group Silk. The year 2003 proved pivotal, as he became Wayman Tisdale's Music Director - from that point on Brooks just naturally gravitated towards smooth jazz as it seemed well-suited to his creativity & style. After touring with Tisdale for three years, Brooks began concentrating on his solo career; Just Between Us, his debut, was released in 2008 and that was followed by a seasonal effort issued later that same year. Ocean View 'dropped' in July of 2010, making it the 3rd album in Brooks' catalogue. With a touch of old school, the project is highlighted by performances from some of The Motor City's finest - Alan "Snoop" Evans and Jeff Allison on basses, Eric Brice on guitar, Steven Bibb, Dave Buford and Larry Tucker on drums, with Yancyy and Melvin Wells on sax. A classy collection that was all acoustically recorded, the insert includes Phillip's heartfelt dedication to the memory of his late friend! So it is that we are honored to become part of that tribute by presenting a select offering of tracks from Ocean View - all as part of the showcase segment! . Phillip Brooks - promo shot! And to begin, we have Mamacita, a Spanish phrase often used as a term of endearment; however, in the context of this feature, it's a tune upon which Brooks displays many of his most endearing qualities as a musician. The delicate caress of Rainy Nights sets an intimate mood just perfect for an evening for two, while the spirit of celebration is strongest on the soothing title track. Filled with memorable melodies ranging from funky favourites to smooth and romantic ballads, the album exhibits a variety of influences from various stages in Brooks' career. Cohesive yet adventurous, Ocean View is a cd upon which Phillip Brooks sets a personal high water mark with much of his best work to date! A native of Alexandria VA, Lin Rountree took up trumpet at 11 and then a few years later he attended Florida A&M University on a scholarship. He played in FAMU's famed marching band and credits the school for helping develop his appreciation for jazz. After a few stops around the country, he made his home base in Detroit, Michigan - a city steeped in the rich traditions of R&B, Soul and Jazz. After playing in several top 20 Motown bands, for the next six years Rountree worked the Detroit circuit with his band Up Close which became a hot and sought after commodity. 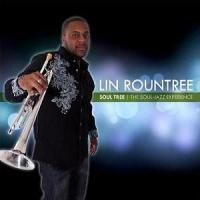 After being featured at numerous city venues Rountree debuted in 2005 with Groovetree. The recently issued Soul-Tree is now his third solo offering and from that effort we present a soul-jazz experience called Seasons, an outstanding track with Gail Jhonson guesting! Drew Davidsen came relatively late to the party. He dabbled on guitar a bit in his youth, but actually trained at the Peabody Conservatory on cello. After playing bass in high school, Drew was 21 and in the Navy during Operation Desert Storm, when he started playing guitar in earnest. Back in his home town of Baltimore, the former underwater weapons technician played in a contemporary jazz quintet for 12 years and gained a few session credits before issuing his solo debut in 2007. Drew's 2009 sophomore follow-up in Around (Again) proved a break thru effort and yielded the track Astro which spent 17 weeks on BA's Smooth Jazz Top 20 Countdown. 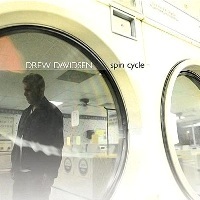 Subsequently, Davidsen appeared at Art Good's prestigious Catalina Island Jazz Trax Festival while gaining further recognition with nominations at both the American Smooth Jazz and the Oasis awards in the top new artist category. Spin Cycle is the new one and from it we take it up a notch with the title track! It was just a couple of weeks ago that Rocco & Rahj, aka John 'Rocco' Altamura and Roger 'Rahj' Keay, debuted on our show with a tune from Cool Burn, their initial release. After making contact, we were thrilled to find a second cd was already in the works. A bit more correspondence and the next thing we knew we were all set for a world premier! 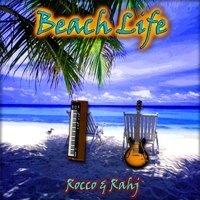 From their forthcoming sophomore Beach Life cd we have Rocco & Rahj with a Café Jazz exclusive, Java Breeze - the Café Jazz mix! I said it before, but it bears repeating, this is pretty hip stuff - laced with a funky & soulful edge here's music that literally burns with low-key intensity! Stay tuned, there's a lot more from the 'kings of beach jazz' slotted for the weeks ahead! After 25 years of playing guitar with the late Tam White, considered one of the finest Jazz and Blues singers to come out of the UK, Neil Warden has released his first solo album as Blue Soul Groove. The project features the strong collaboration of fellow Scotsman John Burgess on sax and flute together with contributions by Ronnie Rae Jr. on keys, and Bobby Heatlie Sr. and Anthony Davies on bass. 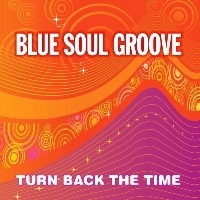 Having met while playing in White's band, Warden & Burgess first drew attention as Blue Soul Groove with the issue of a 5-track EP in 2007. Now building on that effort with four additional tracks, Turn Back The Time is the full length debut. Inspired by the likes of Benson, Carlton, AWB, and The Crusaders, the groove is laid back, cool, and mellow and from that effort, we have the nicely chilled vibe of 3 Am! 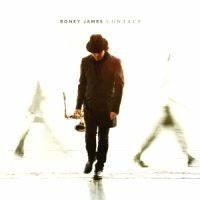 With a style that's easily identifiable from the first few notes, one of today's most respected and best-selling saxmen is back on the scene - yes it's Boney James! Since debuting in 1992, the East Coast-raised, LA-based performer has amassed sales in excess of three million units; all while earning a string of 12 hit records to go along with various & sundry awards. Due to drop late in March, Contact is Boney's first release since his Grammy-nominated cd a couple of years ago and his first since being the victim in a rear-end accident. Hit by a speeding motorist last May, James suffered a couple of broken teeth, a fractured jaw and needed 14 stitches to close a gash on his chin. Even so, the master of urban jazz appears to be showing no ill affects, at least judging from the first single to radio - the velvety yet kinetic title track! Always: ... if you're new to our vibe, After Hours is the part of the show when we put a hold on all the rules. On this edition we're set with a 12-pack of tracks as part of a feature called Always, after a tune by Gregg Karukas. Each of the selections we're featuring has that word prominent in its title - from I'll Always Be With You to Always, Forever - and to begin we've selected Avenue Blue and Always There, on Café Jazz the radio show that's unique, relaxing, and smooth - always!